Facility managers are the heroes who can transform buildings from dumb to smart. But doing so requires a careful eye on product selection. Between now and 2030, savvy facility managers can be green in two ways: environmentally and financially. 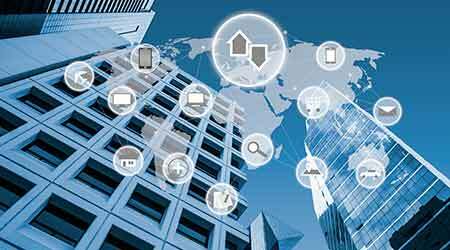 Wise selection of products including smart systems, sensors, and HVAC units can transform buildings from “brainless” to “smart” and then to “genius” in small steps at relatively small costs. Commercial buildings are energy hogs and big-time polluters. According to the U.S. Energy Information Administration, they account for 36 percent of all U.S. electricity consumption and 18 percent of U.S. carbon dioxide emissions. A sustainable future may be possible only if buildings do their part. Facility managers and building owners are the ones who can make that happen, but many balk at the prospect. They see green moves as an unaffordable luxury because staffs are lean and overbooked, budgets are tight, and service demands dominate their time. Green action is often put off until later. But it doesn’t have to be that way. When it comes to buildings, the old idea that going green and smart costs big bucks may be dead wrong. Going green can cost less than doing nothing because expenditures are often quickly recouped from savings. And the bottom line can get progressively greener along with the environment. These are financial benefits that last well into the future. “In addition to energy and operational cost reductions, tomorrow’s buildings may offer new revenue opportunities and improved user experience,” says Harry Smeenk, vice president of program development, Telecommunications Industry Association. As well, he says, there are a number of benefits that are hard to predict today. Facility managers are the potential heroes who can make it happen.